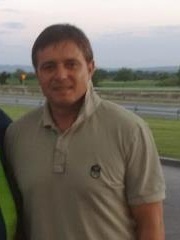 Dragan Stojković (Serbie Cyrillic: Драган Стојковић, born 3 Mairch 1965 in Niš, Serbie), an aa kent under the nickname Piksi (Пикси) is a Serbie umwhile fitbawer, an current manager o Guangzhou R&F. ↑ "Yugoslavia (Serbia (and Montenegro)) – Record International Players". Rec.Sport.Soccer Statistics Foundation. 20 February 2009. Retrieved 12 March 2009. This page wis last eeditit on 17 Mairch 2018, at 23:52.